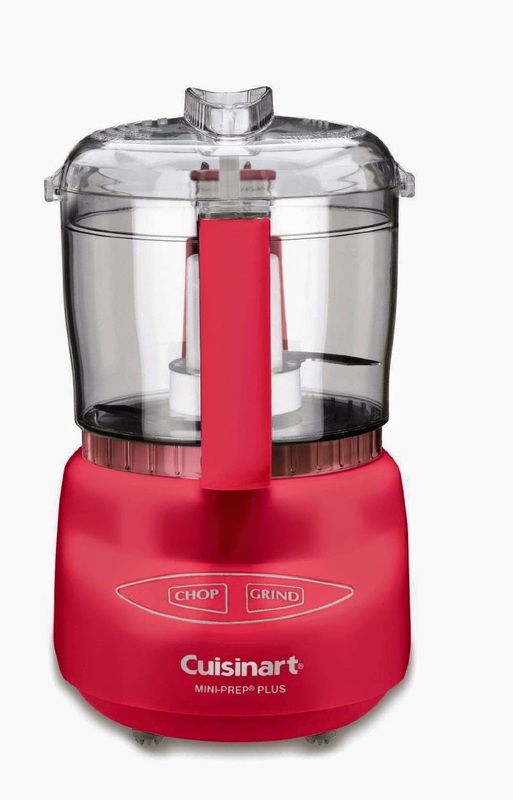 If you know me in real life you may know that given a gift card and a day when I'm lacking in self control, I'll head straight over to Amazon and start dreaming about kitchen gadgets. Lately the fact that there is no room in my kitchen for more gadgets had managed to rein in this tendency, but as the weather has gotten warmer and the humidity has been driving me a little bit nuts, I've found myself more and more thankful for my various kitchen gadgets because turning on the gas oven (or even stove top) right now is a very bad idea. The last couple nights the house heated right up to around 90 by bedtime and I'm doing everything I can to keep that from getting any higher (thank goodness the high for today is supposed to be in the low seventies!). 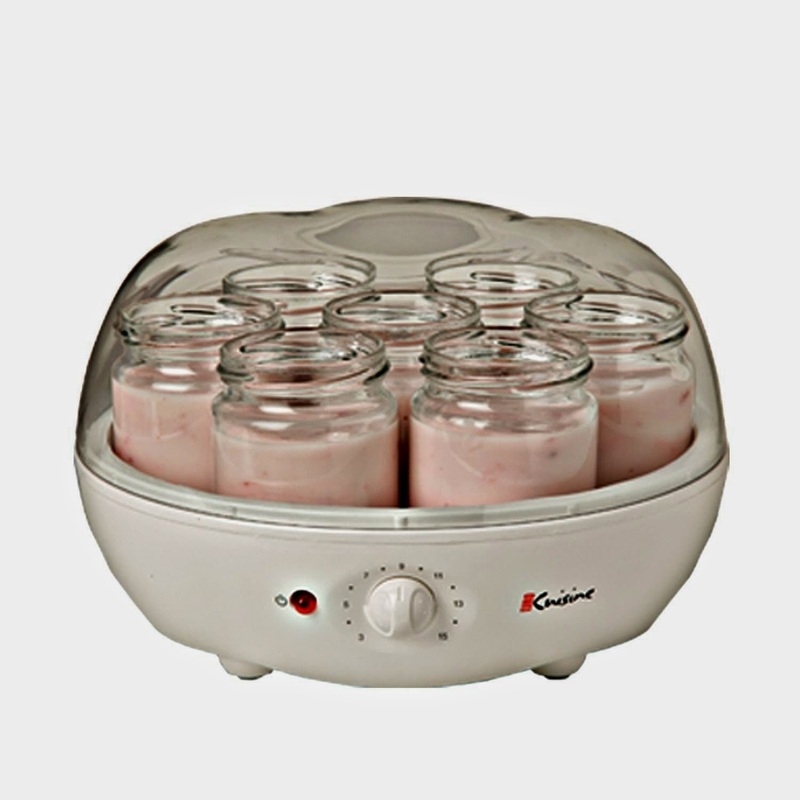 So I thought I'd share with you my five favorite kitchen gadgets, starting with my very favorite kitchen device. The popcorn maker. We received a popcorn popper when we got married and I used it frequently for the last seven years. This spring it finally died... while I was pregnant and pretty much living exclusively on popcorn. 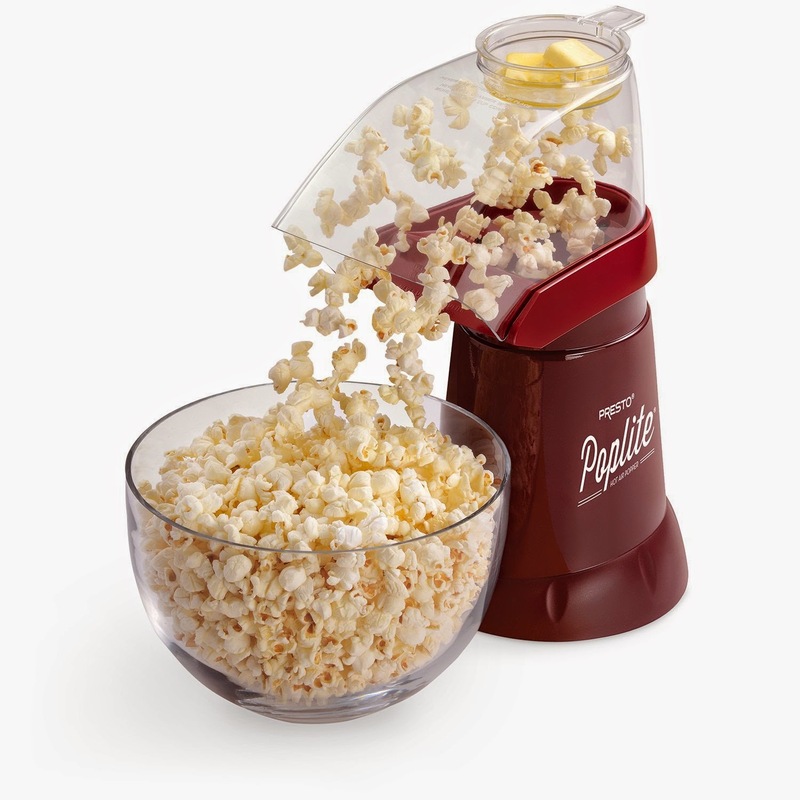 I may have been a little overly panicked when I went on Amazon and found that they had a "slightly scratched but otherwise new" popcorn popper shipping with prime for $12. When it arrived in 2 days and was my favorite color and wasn't scratched or damaged at all I may or may not have danced around the kitchen while waiting for my popcorn to pop... because microwave popcorn just can't hold a candle to popcorn from an air popper! Mine arrived as a birthday present last year, a few short days before Patch's first dairy allergy came back positive... and I was banned from milk for the duration of nursing. Still I was determined to make yogurt and when I found that it was possible to use coconut milk I quickly set out to find a non-dairy starter. And it worked. With the help of a little gelatin for thickening we had homemade coconut yogurt in a single day and the kids loved it! Mine is on it's last legs after a solid seven years of use, but so far it's still hanging in there! It's helped make everything from a special Paleo key lime pie Mae could have (with avocado! It was surprisingly amazing!) to dips to laundry detergent. 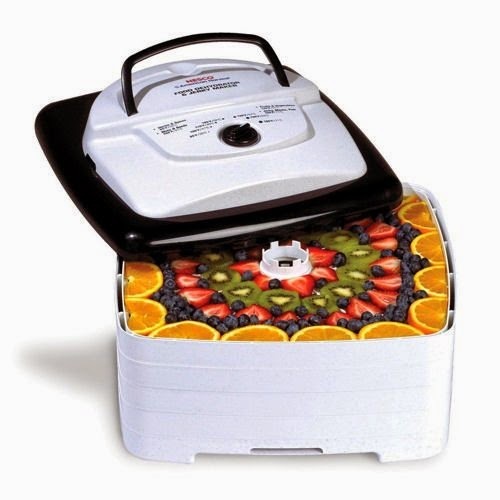 We've used the dehydrator to make everything from beef jerky to the kids' favorite, dried strawberries. I haven't yet tried fruit leather, but that's up pretty high on my dehydrator to do list (and has been for the last year!). One of these days I'll actually find the time to give it a try! 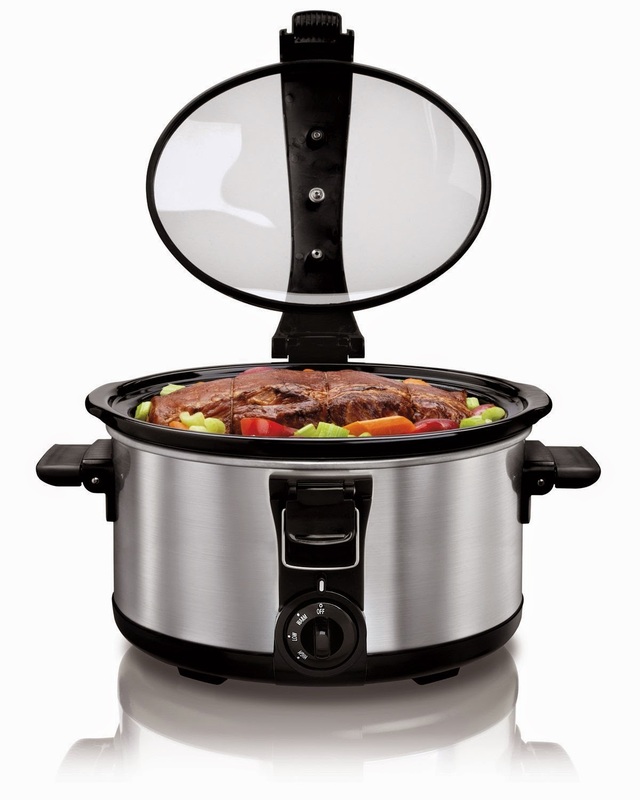 Lastly is the appliance I rely on the most during summer... the slow cooker. It's only drawback is being organized enough to know what I"m making for dinner each morning, which somehow proves to be a challenge even when I have a schedule made up. And those are my five favorite kitchen appliances! Do you have a favorite gadget in the kitchen that helps you get by, especially during summer? For more Five Favorites head over to the Link Up! This was interesting for me to read because I am pretty much anti-gadget. I don't like things that take up extra counter space if I don't use them every day. I've been known to go without a toaster for years (just using the oven) for example. I do like my George Foreman grill. But I'm interested in the popcorn popper because we eat a lot of popcorn and I know that microwave popcorn is BAD. We have an actual stovetop popper which is really fun but kind of a pain. So I may follow your lead and take a look on Amazon. Does the dishwasher or the thingee that pulls corks out of the wine bottles count? I just wanted to thank you for writing this post. You reminded me that I received a $100 Amazon card for Father's Day, and it was buried under a pile of notes on the counter. I've ordered at least that much in books since then, unfortunately. You obviously don't have a Keurig! But the mandolin makes the prep a breeze for all kinds of vegetables (carrot discs, onion rings, tomatoes, cucumber slices, beets, potatoes). And it uses no electricity! The only caution is to watch your fingers, because the mandolin will slice those too in a jiffy. We got our popcorn popper at our wedding three years ago, and it's an odd week if I don't have popcorn for dinner at least one night. Although counter space is very valuable in our tiny apartment kitchen, the popcorn popper gets it's own spot on the counter.